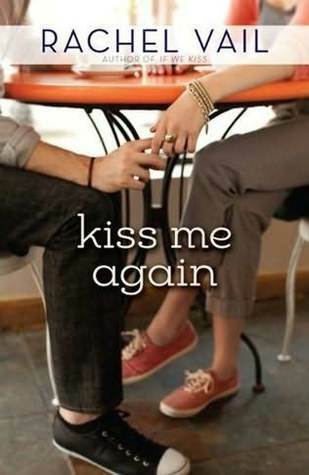 Summary: He closed the distance I'd opened up between us and kissed me lightly on the lips. "Maybe we can just be," Kevin whispered. Review: I read the first book in this series a few years ago and fell in love. So when I found out there was going to be a sequel I was so excited! Charlie and Kevin's relationship was so awkward. As it should be, how weird would that situation be? Though I have to say I felt bad for George as it was not really his fault and yet he had to deal with Charlie's moodiness. Charlie and Tess' relationship was still in shambles from the first book and it was really sad. Reading about Charlie wanting to tell her best friend about her life and to ask her advice but then to have Tess still (understandably) upset at Charlie, was heartbreaking when I thought about how good friends they were in If We Kiss. Kevin's sister was probably one of my favorite parts of the book, she is so sweet and odd. I really liked this book but I wish more would have happened in it. There was not too much plot development and I wish there had been a little more, but I did enjoy it. If you haven't read the first book If We Kiss and you like romantic comedy type movie you should go read it! And then pick up Kiss Me Again.